The death of Father Joe in 1938 left seven children still living of the original ten. These seven are pictured below in 1956. 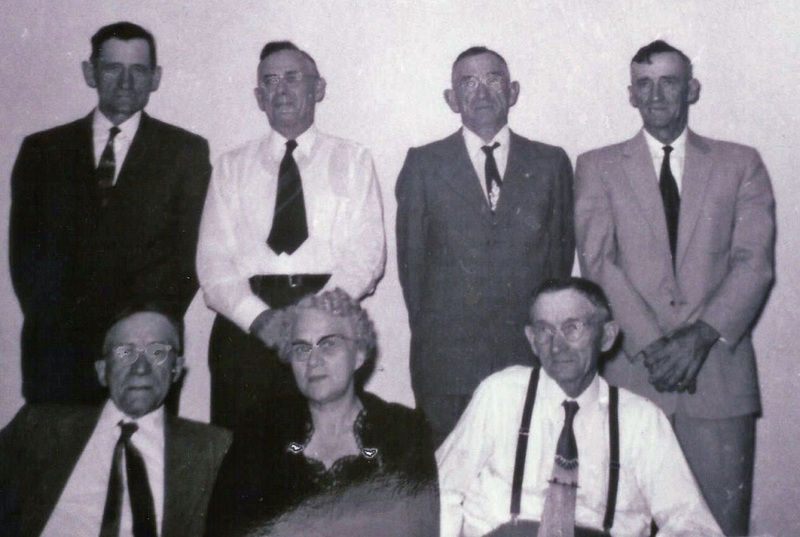 Front row: Theodore, Anna Oidtman, William G. Back row: John, Henry, Ben, Fritz. The occasion for the reunion was the marriage of Anna's daughter, Jewell Rae, to Henry Lichius, in Jefferson City, September 20, 1956.